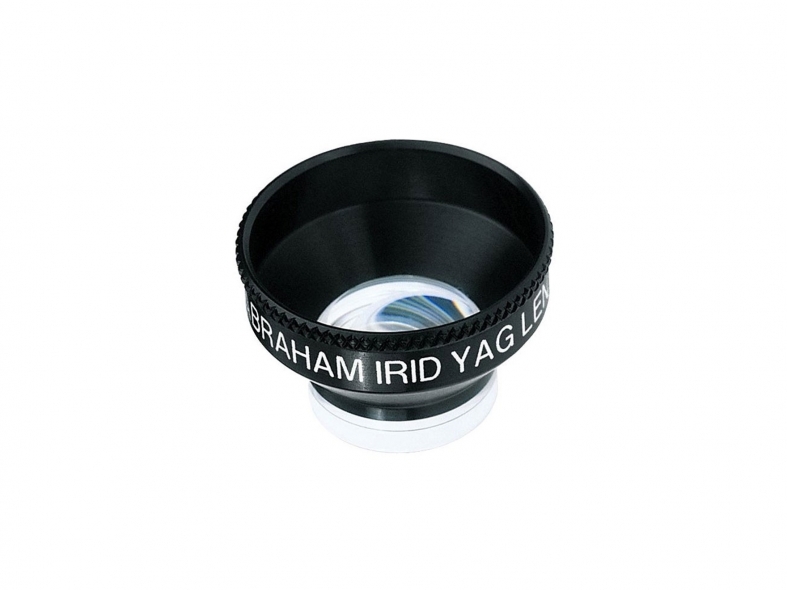 A 10mm diameter, 66D magnifying button in the anterior surface of the lens is positioned over the peripheral iris to give a clear view of the iridectomy site. Laser efficiency is increased compared with using no lens. The lens also helps stabilize the patient's eye and retains the eye lids.